This month we flash back to a review from a client back in October of 2013. 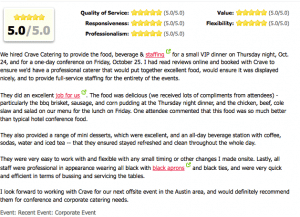 We never forget the events that we cater and want to let our customers know that we appreciate the lovely feedback! 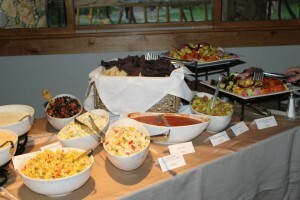 This was one of the many corporate events that we cater, and look forward to doing many more. 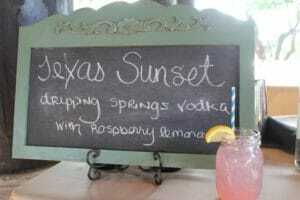 Another year, another Austin Food and Wine Festival for the books. 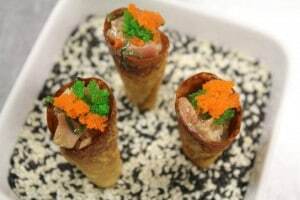 The fourth annual event spanned four days and featured some of 2015’s best culinary feats. 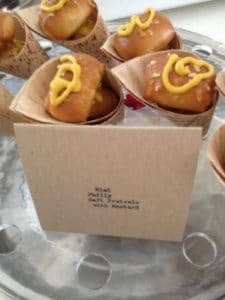 From demonstrations to samples and beverages galore, festival go-ers experienced some scrumptious eats. A “Feast Under the Stars” was the first event that kicked off Thursday night with a 5-course meal served at the green and open Auditorium Shores, overlooking the Austin skyline. This year, guests from all over enjoyed dishes featuring some of the most prominent names in the food industry—from Tyson Cole, Jason Dady, Erica Waksmunski, Tim Love and Matt McAllister. 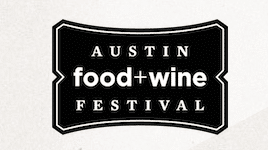 Be sure to follow Austin Food and Wine’s Instagram for some great snapshots of the event. We absolutely love the culinary culture the city of Austin has honed, and are very lucky to be able to draw inspiration from great culinary minds like the ones who attend and make the Food and Wine Festival possible. We are off to brainstorm some more creative dishes for our next clients! 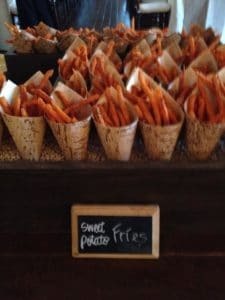 Give us a call to create a menu of your dreams for your next event or request a consultation here. Let’s talk about pretzels. Some are salty, some are sweet, and April is the month we celebrate a particular kind of pretzel— the soft kind! Some centuries ago, the first pretzels were created by Catholic monks. Using all the leftover scraps of dough not used when baking loaves of bread, the unique knotted shape came to fruition as a symbol for the Holy Trinity. This symbol has since evolved to have other meanings over the course of history. The phrase “tying the knot” originated from the same basic pretzel shape during the 17th century signifying the bond of marriage. Today, we see soft pretzels anywhere from sporting events to festivals and even weddings that we’ve catered! Crave has been able to incorporate the soft pretzel into many of our dishes whether they are main courses or mini versions served as passed appetizers. They are extremely versatile and can be presented as a snack with salt and mustard or a sweet treat when rolled in sugar and cinnamon. These soft pretzels are stuffed with philly cheesteak and topped with sea salt and mustard, a perfect snack at a reception or event! TGIF Crave Followers! We are going to take it back a couple of years on this Flash Back Friday to 2012. It was a beautiful day in May at Camp Lucy. The rustic venue was a perfect place for Meredith and Todd to exchange vows under the Texas sunset and dance the night away. 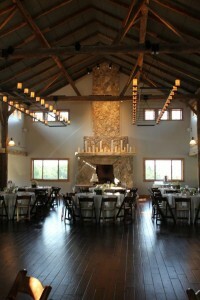 The reception was a classic and simplistic, the venue lined with white candles and white floral centerpieces to match. 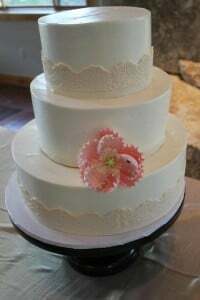 The cake was a three-tiered white fondant cake with floral accents that tied the whole reception together. There were flower girls dressed in beige and white, ready to contribute to the lovely ceremony. As Meredith gracefully walked down the aisle, she wore an elegant lace embroidered dress and a single white flower in her hair. 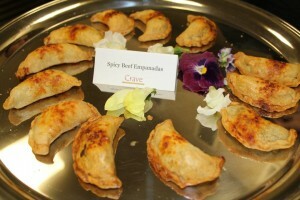 Take a look at some of the catering menu, with appetizers including our spice beef empanadas, beef sliders, a fresh jicama salad and a specialty raspberry lemonade cocktail made with local Dripping Springs Vodka. We hope the lovely couple is doing well, cheer to Meredith and Todd! On Thursdays, we seem to get a thirst that is only quenched by the likes of fine spirits, especially in the form of cocktails. April showers are the inspiration for the April Rain Vodka Martini, which is a simple spin on the classic version of a vodka martini. Add a splash of lime, and voilà! 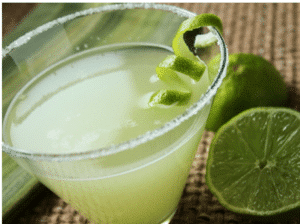 Be sure to use fresh lime juice, that’s the secret to making it extra light and refreshing. Pour the ingredients into a cocktail shakerwith ice cubes. Straininto a chilled cocktail glass. Garnish with the lime peel. Happy Monday! If you’re starting off the week on the wrong side of the bed, cheer up buttercups. This delicious appetizer will make you feel better in no time. This week we are featuring our very own Venison Carpaccio. To those that are not familiar, carpaccio is a dish made with raw protein (primarily from beef, veal, venison, salmon or tuna) that is thinly sliced or pounded thin. 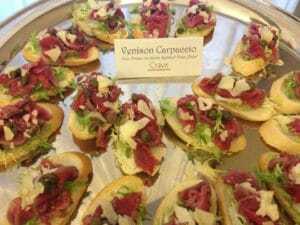 Crave Catering’s rendition is placed neatly on a toast point and topped with a perfect combination of frisée, capers and shaved parmesan. The first of April- a day for jokesters to play pranks on their gullible friends, who you can also call the fools of April. While not a public holiday, people from all over the world partake in silly hoaxes, fake news stories and sheer silliness on the unsuspecting public. Some may fall for their tricks, while others know to have their guard up. Either way, it makes for an exciting hump day! 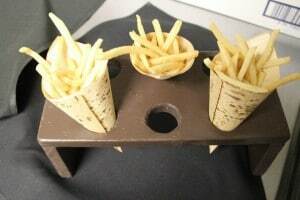 We searched the web and found some food inspired pranks that we thought were pretty comical. Hoping none of the Crave Team is thinking of doing these to each other later! Warning: making these might make you squeamish, but we can bet that the look on the persons face after the first bit will be priceless. 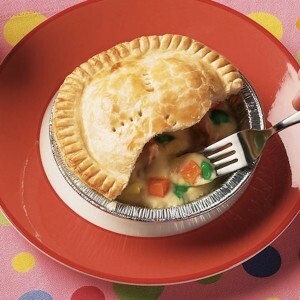 Looks like a savory and warm meal when in fact, it is a vanilla and starburst treat! 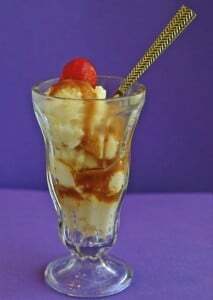 Trick your kids into thinking they’re getting away with eating ice cream for dinner. 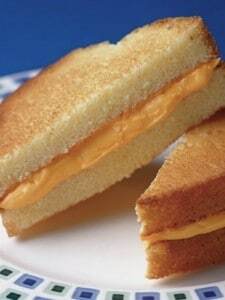 Step aside sharp cheddar, pound cake and icing are stealing the show. Learn how to make it here. What are some of the best April Fools pranks you’ve pulled? Comment below!